Google Translate is a free service that you can add to your ProProfs site to make it instantly available in 60+ languages. This is a great option if you do not have the resources to translate your site into every language you need. Google also provides the ability to manage your translations. Log in to Google and enter manual corrections to improve the translation of a sentence, phrase, or word. Once you add Google Translate to your site, a drop-down menu will appear where your readers can instantly change the language of the site. Step1. Login to your ProProfs Knowledgebase, and select the site to integrate Google Translate. Step2. 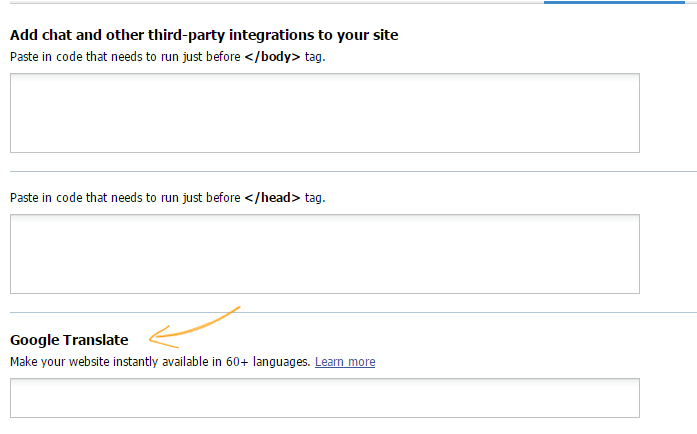 Click "Settings" and navigate to "Integrations." Step4. 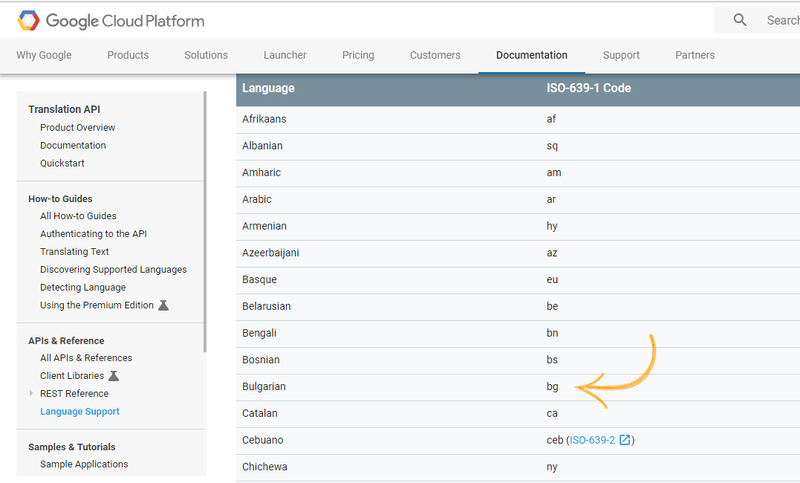 Under "Google Translate", you would need to add language codes for the languages you want on your site. Step5. Follow this link for the list of language codes. See the image below. Step6. Add the language codes in Google Translate text box from Step4. For multiple languages, separate the codes with a comma without any space. Step7. 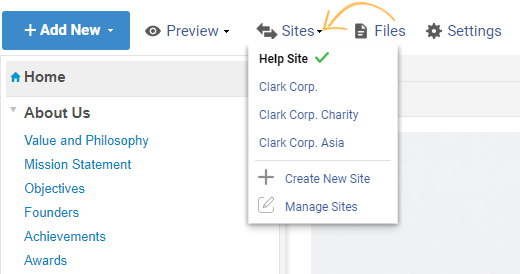 Once you're done, click save and open your site in a fresh tab. Step8. The languages you add would appear as shown below.